Not sure how to improve your credit? Let us help. Our credit repair company knows how to fix bad credit! You have found the right website. Within these pages is an abundance of knowledge about the world of credit repair. If your credit is keeping you from obtaining the things you desire in life, then you have come to the right place because we know how to fix credit. I hope that after reviewing some of these pages that you will entrust us with the job of fixing your credit! We have been repairing credit since 1996! We have over 20,000 facebook fans –> 20,000 people can’t be wrong! We offer Personalized — Not Computerized Credit Repair! No two people’s credit reports are the same! Therefore, no pre-set computer program is going to be as effective as real, skilled, trained credit repair specialists. At National Credit Fixers we have certified FICO professionals! Our credit repair company has real people working hard for our clients. Of course we use technology, but it is the human interaction with the technology that makes us better. We do not scan your credit report and have an automated system produce duplicate dispute letters to mail to the credit agencies. We have certified FICO professionals that analyze your credit reports, and then determine the best possible course of action for maximum results. Then we draft unique dispute letters to the credit reporting agencies, and / or to the creditors, collections agencies, and courthouses, depending on your unique and individual credit report. When you call our credit repair company you will NOT talk to a call center full of unskilled telemarketers that read some pre-written script of answers to the “most commonly asked questions”. National Credit Fixers is a reputable credit repair company that can legally and ethically remove negative items from your credit report, and thereby improve your credit score. Information that is contained in your credit file must be reported according to a law called the Fair Credit Reporting Act (FCRA). If the information isn’t 100% accurate or 100% verifiable then it must be corrected or removed. With less negative information on your credit profile, the result is most often a nice increase in your credit score. We use the Fair Credit Reporting Act (FCRA) which is a federal law designed to protect you from being “slandered” by creditors, collectors, and credit reporting agencies themselves from having outdated, erroneous, misleading, or inaccurate information on your credit report. According to the law, a disputed credit account must be 100% accurate and 100% verifiable for it to remain on your credit report. All inaccurate, incomplete, outdated or unverifiable accounts must be removed or corrected. We have removed bankruptcies, foreclosures, repossessions, late payments, charge offs, collection accounts, judgments, tax liens, you name it! Call us and find out why people give us such high marks – when you simply need to get it done – we are the BEST credit repair company for the job! Because your credit score is so vital to you, it would make sense that the data used to generate your credit score would be managed with the utmost care. Unfortunately for you and the millions of Americans with errors on their credit reports (read you are not alone), this is not the case. Recent studies have shown that flaws within the credit reporting system have resulted in almost 80% (yes I said 80%) of all credit reports having errors. In addition to the errors, most credit reports contain misleading or outdated information that gives creditors the wrong idea of who you are as a consumer. The odds are you have errors on your credit report. These errors may well be lowering your credit score and forcing you to pay unfair interest rates or even to be denied the credit you deserve. National Credit Fixers is a reputable credit repair company that has the tools and the know how to fix bad credit. 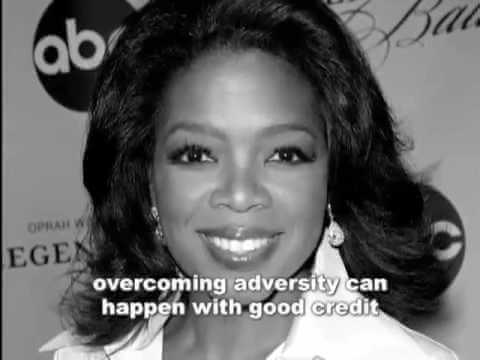 Effective credit repair will improve your credit score. We know how to fix bad credit, let us put our knowledge and skills to work for you! High credit scores are important! Your credit score affects everything from the home you live in, to the car you drive, and maybe even the job you have. Lenders, insurance agents, and even some employers all use your credit score to make decisions about what type of person you are and often how much your pay. A bad credit score says that you are irresponsible with your money and are a risk to creditors. A good credit score says that you can be counted on to make your payments on time and properly settle your debts timely. Choosing a credit repair company is a very important decision. When shopping for a credit repair service, remember that you are shopping for a service and not a product. When shopping for products – you want to find the lowest price. After all if you buy that car or dish washer, it’s going to be the same car or dishwasher made at the same factory, no matter how much you pay for it – so by all means – get the cheapest price. Shopping for a service on the other hand is much trickier. Let me give you an example. When you choose your doctor, was your first question: “how much is an office visit?” You probably were more concerned with his or her experience, maybe where he or she went to school; perhaps you looked to others for their experiences with this doctor. It’s the same with credit repair companies. It’s not all about the price – it’s about what you are getting for your dollars! Often, credit repair companies are nothing more than automated letter mills. The trick here is to use enough automation in your credit repair service, in order to keep your price down, yet infuse enough good old fashioned hard work and labor, to get the results that everyone wants! It’s a tricky combination, one that I think our credit repair service has found a very good mix between the two! A good credit repair service will do more help you with your negative accounts. A reputable credit repair company will advise you on the proper mix of credit, balance ratios, and the proper number of revolving accounts. A good credit repair company will help you with establishing positive credit, and advise you on how to manage your credit. It’s not all about the negative items on your credit report. Remember to step back and take a look at the big picture.